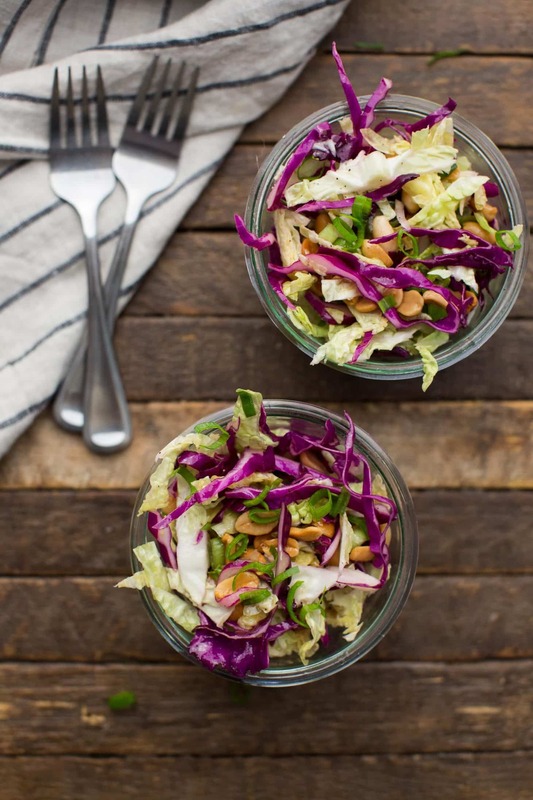 Cabbage Salad with Peanuts | Naturally. As the weather gets warmer, I start to plan out picnics for spring and summer. Living in Northern California affords us picnics in mountains and beaches, so we try to hit both as often as we can. I’m most excited about picnic foods or really any food that travels well. 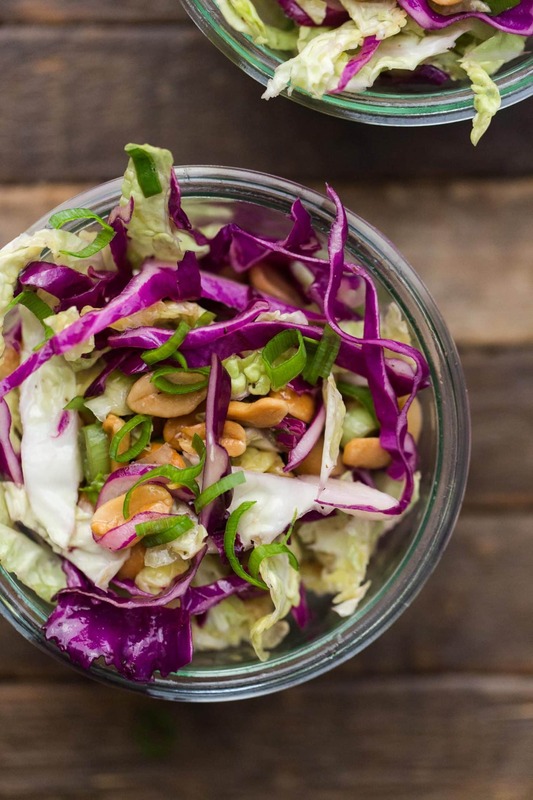 This cabbage salad will be on the menu quite a bit. It’s easy to throw together, packs well, and can pair well with so many other meals. Peanut oil is something that I don’t always have on hand but will use primarily is salads and as a finishing oil. Place the shredded cabbage and scallions in a large bowl. Heat a medium dry skillet over medium-low heat. Add nuts and let toast, stirring every 20 seconds or so, until the nuts are lightly browning. Add to cabbage mixture. 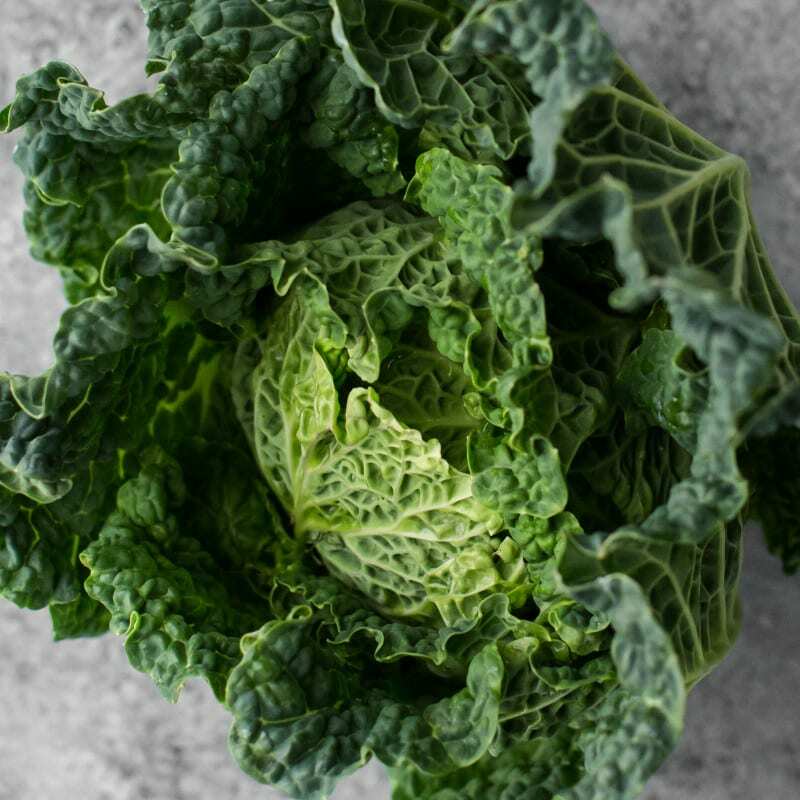 In a small bowl, whisk together the ingredients for the dressing. Pour over the cabbage and toss until everything is well combined and cabbage is coated. Taste and add more salt if desired. Let sit for 5 minutes before serving. 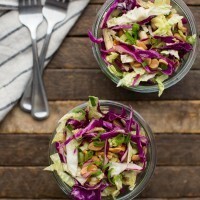 I’ve never been a huge fan of coleslaw and this is one of the cabbage salads I turn to when I need something similar. The peanut flavor works quite well with the cabbage and scallions, with just a hint of sweetness from the brown rice syrup. Sweetener: I opted to make this vegan first but if you’re looking for a pantry item to swap in for the rice syrup, go for honey. I love the hint of honey taste within the peanut flavor. Make it a Meal: I eat this salad for lunch on occasion, especially if I’m traveling or just looking for something light. However, if you’re looking to add a bit more- fried tofu is great with these flavors or toss with quinoa/rice noodles. Peanuts: If you’re allergic to nuts, try sunflower seeds. The flavor won’t be as pronounced but the sunflower seeds/sunflower oil has a close enough profile to be a solid swap. This salad looks so fresh and delish! Totally going to try it! Getting really inspired by your blog. I’m a personal trainer, and always on the lookout for healthy recipes to share with the clients I train. This looks perfect for the transition from spring to summer, I’ll have to try it out for lunch next week! Yes, picnics and alfresco brunch is what I’m all about as it warms up! We had this for dinner tonight and it was very nice. I used roasted peanuts because that’s all I had. Definitely a keeper recipe, a nice change from regular lettuce/tomato/cucumber salads.